Two things are in my mind mostly these days: Having a healthy Lifestyle and Staying Happy. Happiness and good health are very much connected to each other, isn't it? If you are happy your health remains good. And if you are healthy, you keep on increasing your happiness. The easiest trick to stay healthy is to have a good water intake every day. However, as simple as it looks, for most of the people, drinking sufficient water every day is a task. They somehow ignore this very essential need of the human body. Every single cell in our body needs water to function properly. The result of less water intake is eventual dehydration, dull face, fatigue, bloating and weak immune system. Can drinking water help you stay healthy? Spoiler alert, YES IT CAN! 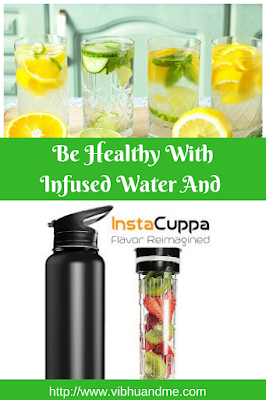 I hope you now have a fair idea about Infused Water and now I would like to introduce you to a name InstaCuppa. 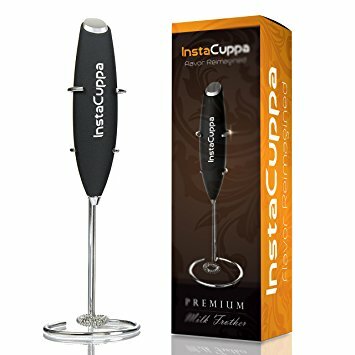 A few days back only, I came to know about InstaCuppa products and I am really impressed with the idea behind the invention of InstaCuppa. For working people, balancing a Healthy Diet & A Hectic Lifestyle is not easy. I am also a working self and l very well know the drawback of sitting jobs like mine. Stress, workload, and laziness make most of the working people eat unhealthily. They tend to indulge more in sugary and aerated drinks. 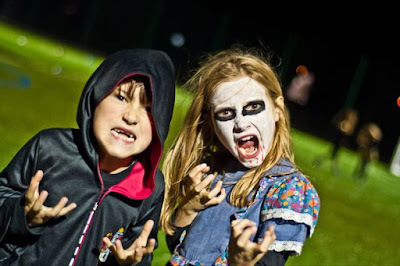 And no wonder, in the long run, they develop health issues like weight gain, low energy, and bad digestive system. But hold on! These habits can be fixed with some lifestyle and eating habits changes. The first step towards healthy living is to replace all sugary and aerated drink with healthy, nutritional and natural drinks. And there InstaCuppa comes into the picture. They encourage you to have more and more natural infused water. 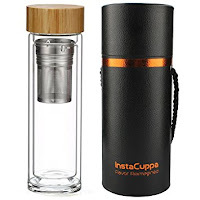 This is my favorite product of InstaCuppa range. 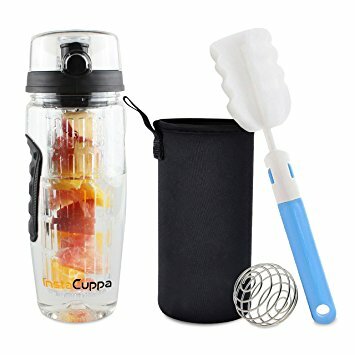 Making fruit infused water is so easy and convenient with this fruit infusers bottle.Just put fruits/herbs into the infusion unit and fill the bottle with water. Let it sit for sometime and your fresh fruit infused water is ready to consume. Made with top Quality TRITAN, the bottle is BPA free, leak proof and absolutely sturdy. The best part is the infusion bottle is very handy and easy to carry for offices and outings. This almost has the same features as Infusion bottle above. But it also comes with a few great advantages. This is a thermosteel flask so you can keep lukewarm liquid also inside it. Because of its temperature retention property, this is the best buy for families. Now, this is a super product that solves many purposes. 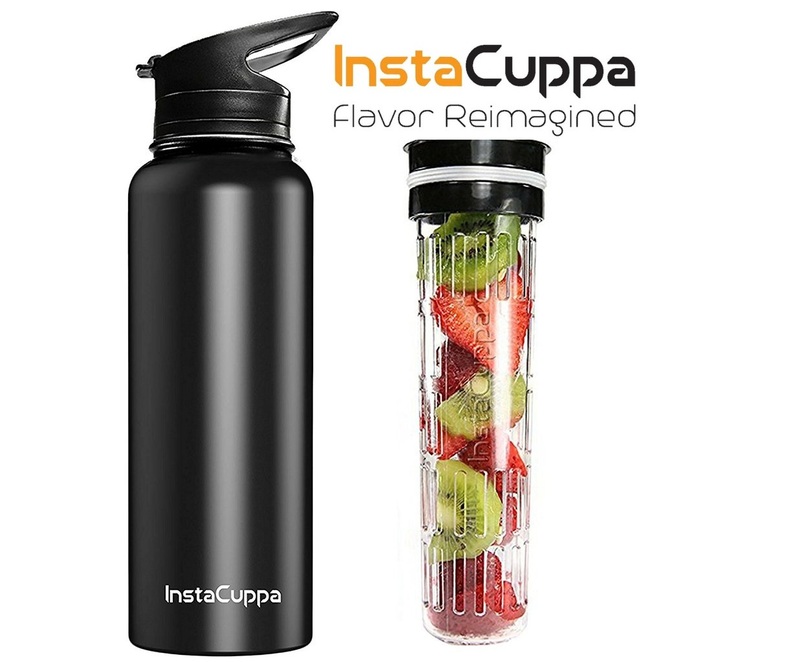 This is a glass bottle with a premium stainless steel infuser inside. 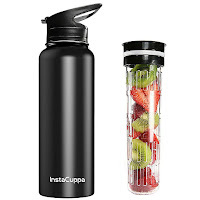 You can use this bottle as a fruit infuser, green tea infuser, a coffee infuser and even as an elegant glass bottle. Amazingly this bottle has a bamboo lid with a leak-proof silicon lining that makes it a MUST BUY. This is a portable battery operated hand blender that lets you make delicious milkshakes with ease. Unlike our regular blenders, it operates with very low noise. Made with good quality stainless steel, this is such an amazing product to make your coffees and shakes tastier than ever. 1. Minimus use of plastic and made with healthy alternatives, like bamboo or glass. 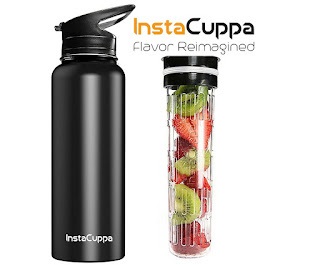 Still confused about InstCuppa and it's amazing products? Visit their website and social media pages for more information, cool recipe videos and some amazing health facts. The article is written as part of the #SuperBloggerChallenge2018 by #Instacuppa conducted by HealthWealthBridge.com FashionableFoodz.com AllAboutTheWoman.com and should not be repurposed, republished or use otherwise. 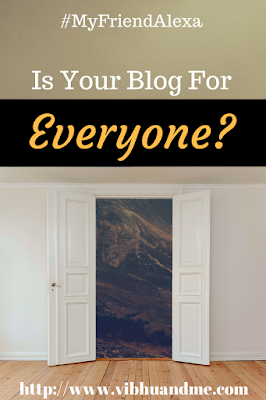 The content herein is owned by the blogger. SuperBloggerChallenge2018 is not responsible for any infringement caused. I like your statement that good health means happiness. And for good health a good supply of water intake is a must. And infused water is a great choice indeed. Very aptly pointed out. Health is happiness indeed. And what simple way to achieve it than with Instacuppa. Amazing and informative post. Fruit infusers is best for hydration. Very useful and beneficial tips for instacuppa products. Great thoughts. It's true, as a Generation we shud adapt healthier lifestyle. Instacuppa products are grt ways to attain that healthy balance.